and on Sunday from 10:00 A.M. to 5:00 P.M.
Beads never go out of style! 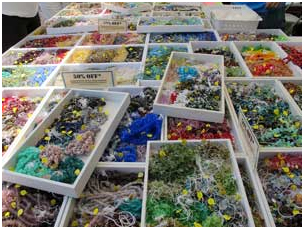 From earthly and natural colors to bold and aquatic hues, there are an abundance of seed beads, glass beads, wood beads and gem stones to string, embroider, layer and wrap. Embellishments can range from tiny tassel to raw crystals and metal accents. Our Bazaar is the perfect place to purchase materials and finished pieces of jewelry so you can create and wear all things beady in 2018 and beyond! It’s also a great place to learn a new technique or enjoy our fun Make & Take classes. As a bit of background, our annual Bead Bazaar is our largest fundraiser, and 2018 marks the 19th year that we have put on the event. 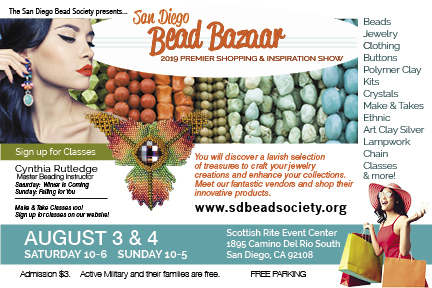 Proceeds from the Bazaar help the SDBS support many activities throughout the year, including speakers and classes, community outreach, and our affiliation with the Mingei International Museum. 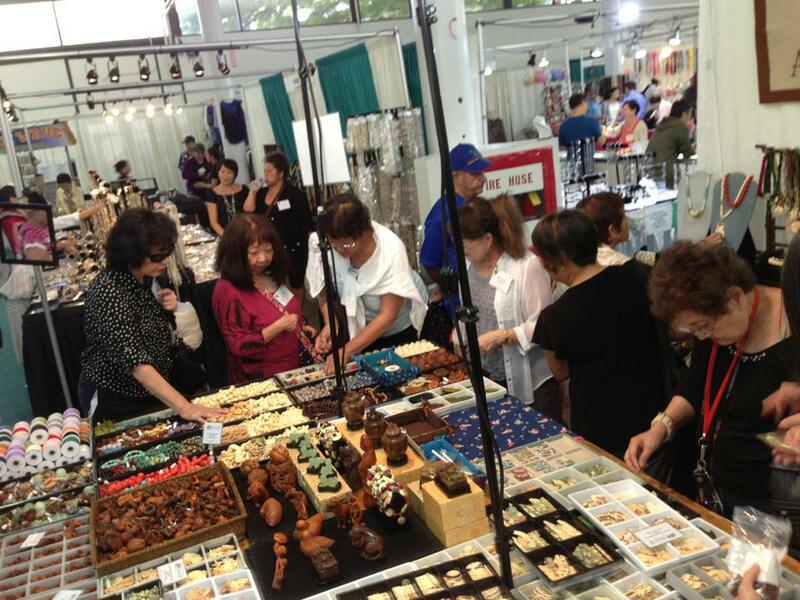 Our Bazaar brings together finished jewelry from unique jewelry artists and vendors that provide quality merchandise for all your jewelry-making needs. Come shop with us! So many options for wonderful beads, findings, and finished pieces! Information about Make-and-Take Classes:If you would like to sign up for one of our Make-and-Take classes at the Bazaar, please go to this page of our website after July 1. Kahn-Fagan brought a selection of wonderful beads to choose from at our Bazaar!